MORE THAN 13000 MOVIES ON MYDUCKISDEAD AND 1000 ON VINTAGECLASSIX. 100% ENGLISH FRIENDLY. ALL ON NITROFLARE. The best way to support MyDuckIsDead is to buy a NITROFLARE Premium account from the links you find on the blog. Thanks!!! If you find some dead links, leave a com and I'll try to fix them as soon as possible. Nagisa Sugiura (Yuka) is a young Japanese actress who comes face to face with a slew of ghosts. These restless spirits begin to appear when she signs on to star in a horror film which tells the true story about a crazed, local professor whose murderous rampage at a hotel left 11 guests dead, including his young son and daughter. The movie is being filmed at the very site where the killings took place. If you enjoy this blog, you can support it by buying a NITROFLARE premium account from the links above. For just a few bucks, you will get full speed and unlimited downloads from a great filehost. If you find a dead link, just leave a com and I'll try to fix it as soon as possible. Cheers. 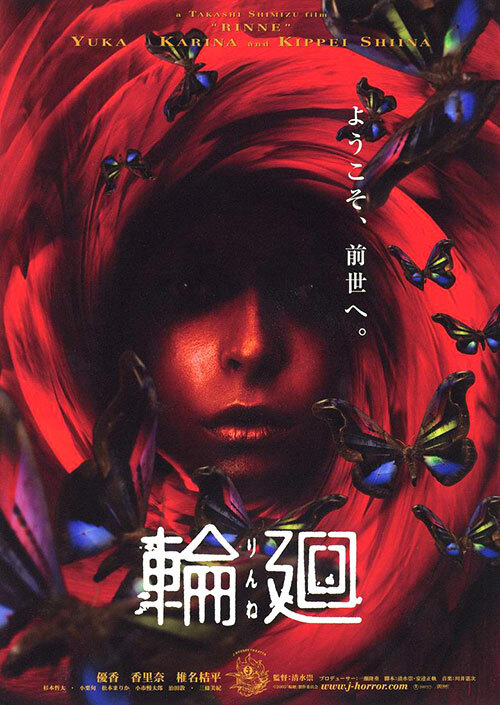 1 Response to "Reincarnation (2005) Takashi Shimizu"
Man was this fast! Maybe also this one Ryeong (2004) https://www.imdb.com/title/tt0410537/?ref_=tt_rec_tt? Grave Robbers (1989) Rubén Galindo Jr.